Red & Green Healthy Holiday Salad, beautiful, healthy, delicious. Red & Green Healthy Holiday Salad. 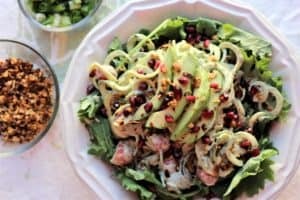 This beautiful salad, is delicious and healthy and perfect for every day or the holiday table. 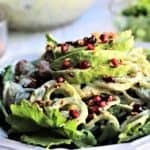 This salad has zucchini, tomatoes, raspberries, fresh greens and avocado all topped with yummy garlic cream dressing and juicy pomegranate seeds. Enjoy. Vegan, gluten free and dairy free. Add 1 cup of garlic cashew cream dressing, or less if going for a lighter version. Place zucchini salad mixture on bed of baby kale. 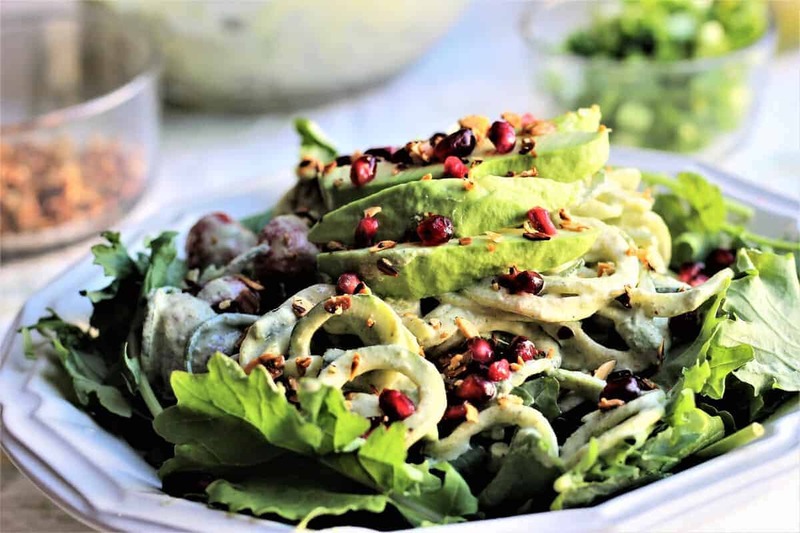 Top with sliced avocado, pomegranate seeds and toasted almonds for a festive presentation.